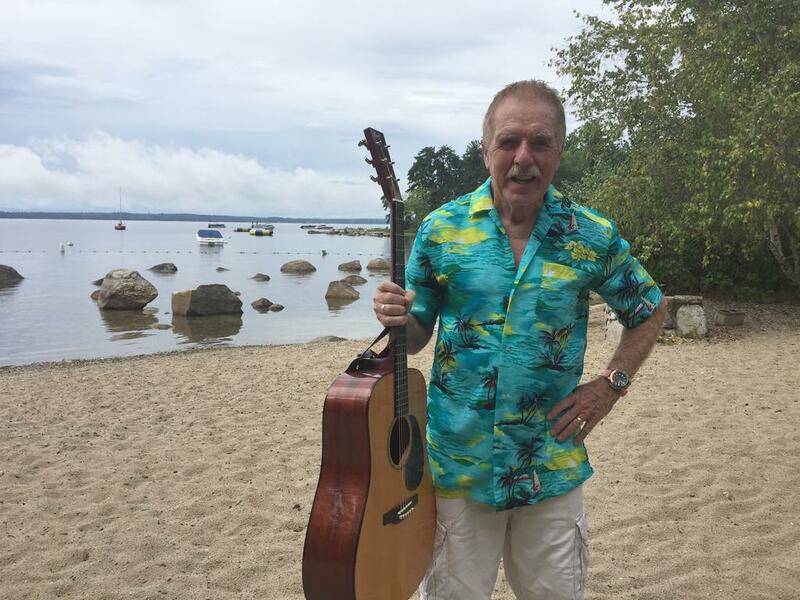 WINDHAM — He’s made a career singing songs about alligators in elevators and loving mud, and after more than three decades entertaining Maine children and parents alike, musician Rick Charette is ready to retire. The longtime Windham resident announced his semi-retirement on his website and Facebook last month, saying he will no longer perform at schools but will keep his options open to occasionally play at events with his Bubblegum Band. Charette, 71, grew up in Westbrook and has lived in Windham since 1975 with his wife, Maureen. He was slow to recover after a bad bicycle accident last September left him with a broken collarbone and four broken ribs, and was almost prepared to retire all together. Charette has amassed a catalog of hundreds of songs and 12 albums since he first found his way into the music industry during the early 1980s. After studying English and then music education at the University of Southern Maine, he spent several years in the classroom as a music teacher. It was during his time as a student teacher that he wrote his first successful song, “Bubblegum,” and the positive feedback he received helped to inspire him to eventually pursue a career writing children’s music. He initially performed solo, but connected with other musicians and formed a backing band around 1985, settling on the name Rick Charette and the Bubblegum Band. “No pun intended, but the name stuck,” Charette said with a laugh. “I don’t think I’m that great as far as a guitarist,” Charette said, chuckling. Along with collaborating with longtime band members like Roy Clark – with whom Charette formed Pine Point Records – the mustachioed, Hawaiian-shirt wearing front-man also turned to his audience for song ideas. Charette would often draw inspiration when working with kids in the classroom, building songs from ideas or phrases that they discussed. He also got ideas from his own three children, including those for two of his biggest hits. “I Love Mud,” a staple in the Charette catalogue, came after he found one of his sons playing in a large mud puddle in the road near their old home in Windham. And he got a lift from another son after a misunderstanding for the well-recognized tune “Alligator in the Elevator.” Charette told his son, then 2, that they had to get into an elevator, and the young boy was petrified because he thought his father said they had to get into an alligator. “That was a real fun song to write,” Charette said, remembering the ultimately productive mix-up. He’s never had a problem mixing fun and learning, pointing to his song “Sugar Sharks” in which a group of fictional sea creatures love to eat sugary foods but are careful to floss with kelp. “Without being preachy, you could model good behavior,” Charette explained, adding that he made a point to avoid political topics and keep his songs from sounding contrived, which he said kids can pick up on easily. “There’s so much pressure on teachers these days, as well as on kids, and I think having something that kids can just totally enjoy and be part of, and be kids – it really made the teacher happy as well, that kids would have something like this,” Charette said. While Charette is closing the door on classroom performances, he hopes to continue performing at certain events and venues, especially where he and the Bubblegum Band have become mainstays, such as the Casco Days festival held each July and his annual appearance at the Maine Wildlife Park. It has been “so moving” to be part of those types of events, he said. “He’s had a huge impact on so many kids,” said Casco Selectboard Chairwoman Holly Hancock, who helps organize her town’s yearly festival and has observed adults who grew up with Charette’s music now bringing their children and grandchildren to hear him play. “I don’t know how we’ll replace him,” she said. In the twilight of a career that has taken him around the state and across the country, Charette’s gratitude and impact are equally evident in the stream of nearly 200 Facebook comments that followed his retirement announcement. Charette, who has responded to some of the Facebook comments with well-wishes of his own, said he has been moved by the response and personal stories that people have shared since his announcement. He plans to spend his retirement with family, taking trips, hiking, and writing new songs – including tunes about meatballs and overcoming an “owie” that are inspired by his two grandchildren. Children’s musician and Windham resident Rick Charette is retiring from school performances, but hopes to continue playing at some events with his Bubblegum Band.